Now you can allow the customers to add a product to cart without page reloads and configure the items with the options in the pop up. 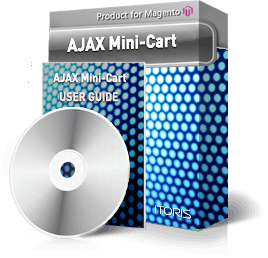 The AJAX Cart extension for Magento replaces the default cart link and proceeds to checkout in one click. Take your shopping cart to the next level and let your customers add products to the cart while staying on the current page! The Ajax-driven extension provides beautiful sliding animations once the product is added to cart. There is no need to constantly wait until the page is reloaded. 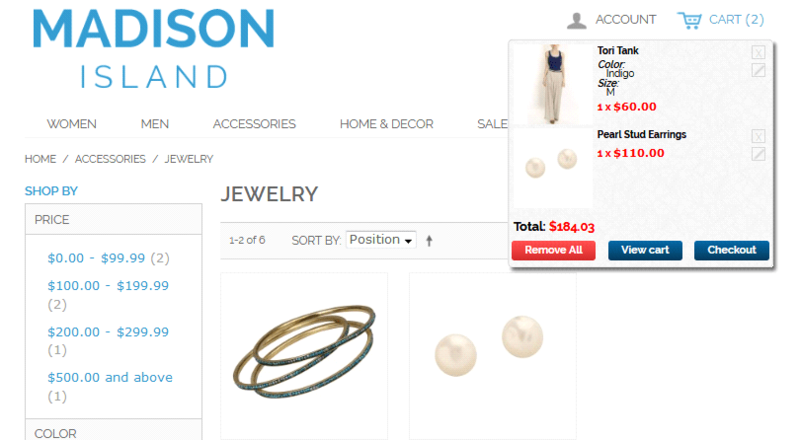 All the added items are displayed in the mini-cart on hover. 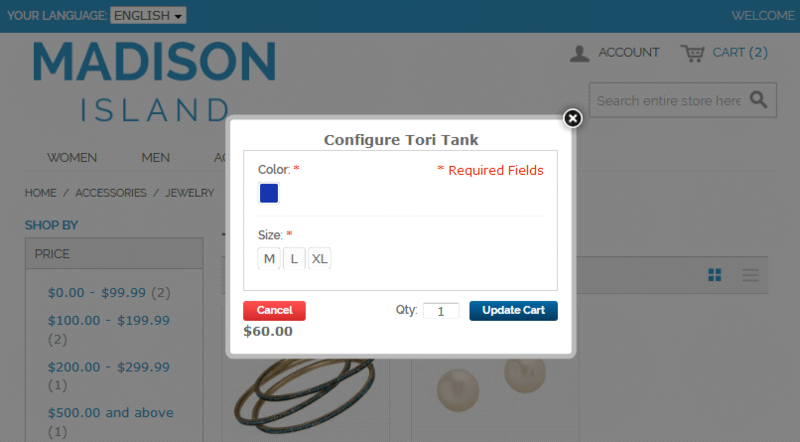 Now you can edit the products with custom options in a modal window or remove the items in the mini-cart. The Magento Ajax Cart is an effective tool making the shopping process smoother. Your customers stay on a current page after the items are added to the cart. There is no need to open the cart to see all products or change the quantities. Let the customers hover over the mini cart and configure the items without redirecting to the product pages. Let the customers specify custom options or attributes in a dialog window without redirects to product pages. The extension helps to define products’ quantities in the mini-cart directly. Now your customers can easily proceed to checkout and view all the information in the mini-cart. The extension shows the subtotal, configured options and quantities.